As the recession bites ever deeper, many restaurants are increasingly keen to provide their customers with that little something extra in order to keep them coming back for more. In many instances, that something extra is taking the shape of food and wine matching dinners. In most cases, the dinner will have a regional or appellation theme and the event will be hosted by someone from one of the restaurant’s main wine suppliers. Alternatively, the person giving you the lowdown on the wines and their matches may well be the winemaker him (or her) self. In the interests of responsible journalism, I thought I would check out one such dinner and report back. The evening in question took place at the end of March at Galvin’s Bistrot de Luxe on London’s Baker Street, a restaurant known for its consistent delivery of high-quality traditional French food and relaxed, informal atmosphere.The theme of the evening was Burgundy, so I have to admit I didn’t have any huge expectations in terms of wine quality, given a price per head of £55 to include a four-course dinner, apéritif and coffee. It’s tough enough getting three-courses and half a bottle of wine at a gastropub at that sort of price. Or it used to be before the state of our economy made us increasingly reluctant to splurge on an evening out. There was some reassurance to be had, however, on the discovery that our compère for the evening was Phil Barnett from Les Caves de Pyrene. Although CdP doesn’t specialise in Burgundy, I knew their list well enough to know that they had some well-priced gems from some of the region’s most undervalued appellations. The first wine of the evening, a Bourgogne Aligoté from the Domaine du Corps de Garde, was a case in point. 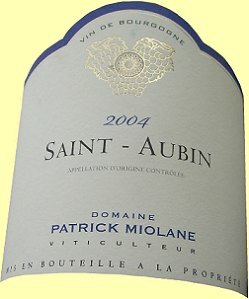 Rather unusually, it was a 2006 – wines from this appellation are not expected to survive much beyond their first birthday. This version still had a broad streak of lemon zest-flavoured fruit, as well as a fair amount of minerality and a persistent finish. It was paired with a dish of sautéed lamb’s sweetbreads and snails with a pungently garlicky, caper-strewn butter. The sweetbreads combined with the wine to create a great textural match and the sharpness of the lemony butter worked well with the wine’s acidity to merge into a prolonged, harmonious aftertaste. It was a terrific match and I suspect that any of Burgundy’s more highly valued whites – with the possible exception of Chablis – would not have complemented either the dish’s flavours or textures quite as well. The next course saw a deeply savoury daube of beef bourguignonne paired with a Givry Champ Nalot 2006 from Domaine Parize. By itself, the wine was simple but pleasing, with gentle tannins, racy acidity and lots of red berries and cherries, but I didn’t think it worked well with the dish, which was just too intense and meaty for the wine’s ripe flavours.Luckily, I spotted that the next course had been paired with Domaine Miolane’s 2004 St Aubin 1er Cru Le Perrières, which proved to be a more linear, savoury wine with good minerality – and a far better match for the beef. The intended match for this cuvée was a slice of chaource accompanied by a compote of spiced plums. Neither wine worked terribly well with the cheese, I thought, but if I had to pick one it would have been the fruitier Givry as the St Aubin and cheese, in combination, left a soapy taste in the mouth. We had to leave Burgundy for the dessert, an apple Tarte Tatin with a Marc de Bourgogne sorbet that had been paired with a 2008 Muscat de Rivesaltes from the Château de Jau. Although the wine was a bit simple by itself, it worked with the desert to create a wonderfully caramelised extension of the finish, while the wine’s fresh fruitiness was brought into focus by the crisp flavours of the sorbet. Throughout the meal, Barnett popped up between courses to introduce each match. However, right at the start of the evening he’d confided in me that most of the diners at these events aren’t really wine buffs and, as such, he likes to keep the information brief and relatively simple in order not to outlast diners’ attention spans. Accordingly, he gave us a brisk trot through Burgundy’s history and geography before the first evening, then gave us some sparing details on each wine, hardly touching on the issues of matching them to food. This seemed about the right level of information for most of the groups spread out round Galvin’s private room, although there was one old buffer who clearly knew it all and provided us with a muttered punchline for most of Barnett’s pronouncements. Luckily, this all got to be a bit much for one of his dining companions, who I spotted aiming a kick at the wine bore’s shins halfway through the spiel on the Givry. Overall, it was a convivial evening from which most people emerged having learned a new fact or two, tried a few new wines and enjoyed a hearty and thoroughly delicious dinner. Galvin Bistrot de Luxe will be holding further wine dinners. Other restaurants host food and wine dinners, whose degree of seriousness (and depth of information given) varies. Some are more of an excuse for a pleasant night out, while others are targeted at those who really want to explore the food and wine matching potential of a particular region or producer in more depth. Islington’s Morgan M is hosting a series of wine-themed dinners in May, covering the Loire, Burgundy, Bordeaux and Southern France in conjunction with a number of specialist merchants. If you’ve got a yearning for Argentine wine, the winemaker dinners at the Gaucho restaurants might be just the ticket. The small group of restaurants run by the owners of Club Gascon are keen on holding winegrower evenings. 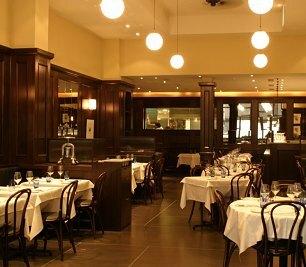 The wine bar, Cellar Gascon, runs monthly events, while Le Cercle also hosts regular food and wine matching sessions. Mayfair’s Greenhouse also holds regular wine dinners, most of which have a regional or appellation theme, conducted by executive sommelier Ronan Sayburn. For something with an unusual focus, you might want to check out Le Bouchon Breton’s regular wine and cheese pairing sessions, run by the restaurant’s ‘Frommelier’ Jean Claude Ali Cherif. Those based in the south-west of England should check out Summer Lodge’s legendary wine dinners, most of which are focused on key individual producers – although the annual Five Sommeliers dinner is unmissable.